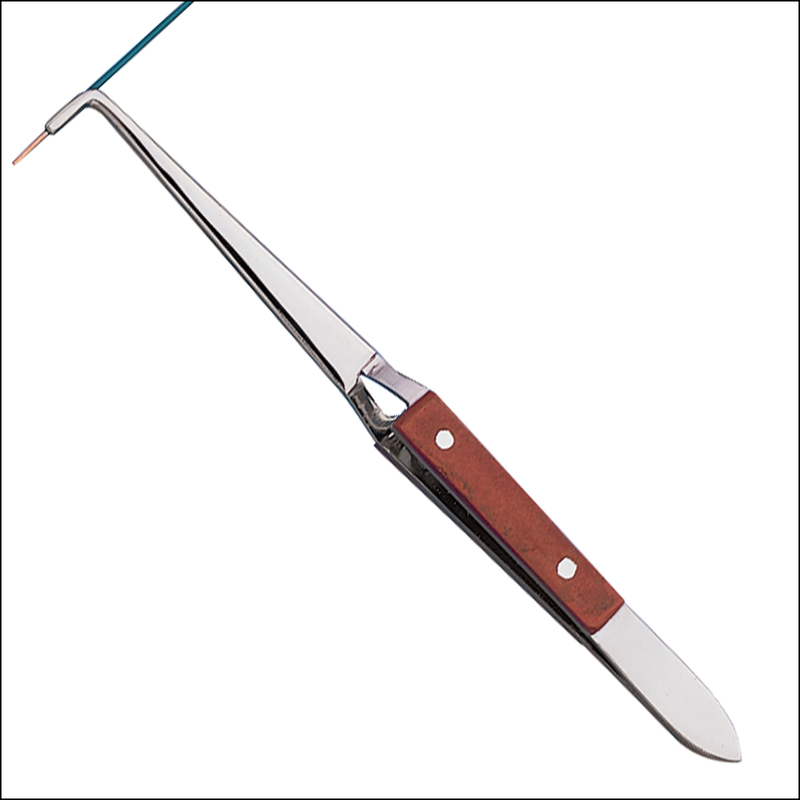 Our cross-locking tweezer holds small diameter hook-up wire in place and draws heat away from the insulation so it won't melt. Keeps your soldering jobs neat and protects against short circuits and burned fingers. A half-round slot milled in both jaws holds wire securely. Made of stainless steel with heat resistant grips. 6 inches long.